There’s no denying that steampunk is a highly visual art form. Even the written word invokes strange and fantastic images that leaves one’s brain cells dizzyingly dazzled. Now that we know what steampunk books can accomplish, we’ll cast our periscope toward the silver screen, television, and beyond. Despite steampunk’s niche status, there’s still a wide range of styles, tone, and story content. Rarely can one book or film or steampunk raygun epitomize an entire subgenre. How dare someone even try? I mean, honestly, who goes there? Er…but in this case, one single scene actually does invoke the power and might of steampunk. 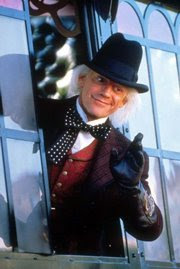 I’m referring, of course, to that last scene in BACK TO THE FUTURE PART III. If you’ve seen it, you knoweth of which I speak. That moment captures the glamour, the spirit of innovation, and sense of wonder that steampunk can convey. It’s almost too perfect, and I will be the first to admit the occasional tear has pricked my eyes as that scene unfolds. It’s a great homage. Now some of you may be horrified at the suggestion that BACK TO THE FUTURE III represents the whole of steampunk, but there’s no need to get steamed. ;) I’m jesting—mostly. The above is simply my experience of a definitive steampunk moment, when the subgenre made yet another indelible mark upon my soul. (CHITTY CHITTY BANG BANG did it for some fans, and power to them, I say.) My real point is that steampunk, brought to life on the big screen, possesses a majesty all its own. 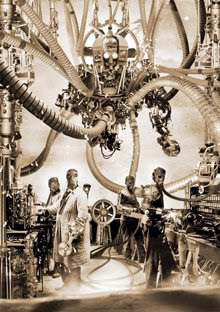 For an extensive list of films, television shows, and video games that “are steampunk-related either through narrative or by thematic context,” click here. Another swell feature on steampunk in film is the io9 article Scifi Movies Finally Catching Up to Novels and Going Steampunk. There are, of course, short films that harness the steampunk steam, such as THE MYSTERIOUS GEOGRAPHIC EXPLORATIONS OF JASPER. And last year, The Heliograph presented this Poll: Best Recent Steampunk Movie. Also, there's Steampunk Media: Jules Verne’s Movies, Part I. And here’s a bit about THE WILD WILD WEST, also courtesy of The Heliograph (scroll down). 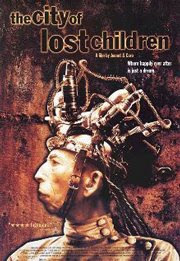 While gorging on posts at The Heliograph, I also discovered GOGBOT 2008—a steampunk film festival in the Netherlands! Do drop in should you be in the neighborhood. With visuals like that, it’s no wonder BIOSHOCK is currently in preproduction for a big budget film by Gore Verbinski (the PIRATES OF THE CARIBBEAN trilogy) in 2010. 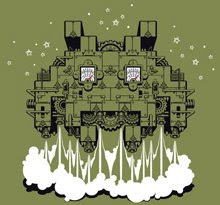 FINAL FANTASY (the series) – With ever-present airships and retro-futuristic designs, practically every FINAL FANTASY game has placed its proverbial finger in the steampunk pie. 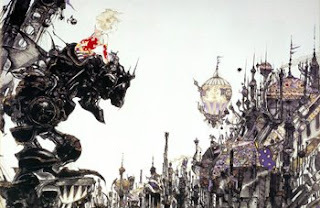 But, it was FINAL FANTASY VI that really ratcheted up that groovy mechanical aspect. It remains one of the highest-rated iterations of the long-running series, which is currently gearing up for number 13. EDGE OF TWILIGHT – Currently in development and slated for release next year for the PC, Xbox 360, and PS3, this third-person platformer promises to deliver, “a unique post-apocalyptic, steampunk fantasy world that has been split into separate realms of Day and Night.” Regardless of how the final product turns out, this game’s production artwork is certainly steeped in steampunk and looks beautiful. Take a gander here. So there you have it: Steampunk eye candy of every color and taste. Sparkly, too! But wait! Before we depart for tomorrow’s galactic depot, there’s more! I also have another giveaway to announce! 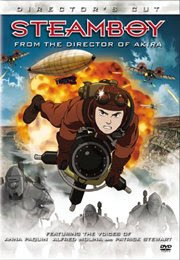 From Katsuhiro Ôtomo, the creator of AKIRA, comes STEAMBOY. Featuring exquisitely-detailed animation, this director’s cut DVD can be yours for the nominal price of...a lucky comment! To enter, leave a comment for this post. Share your signature steampunk moment, or a favorite film. (Or just say konnichiwa!) The contest is limited to U.S. residents. The deadline for the drawing is Thursday, September 25 at 9 p.m. EST.